Researchers from the universities of Cambridge and Southampton have discovered a new section of the boundary wall of the ancient Roman port of Ostia, proving the city was much larger than previously estimated. 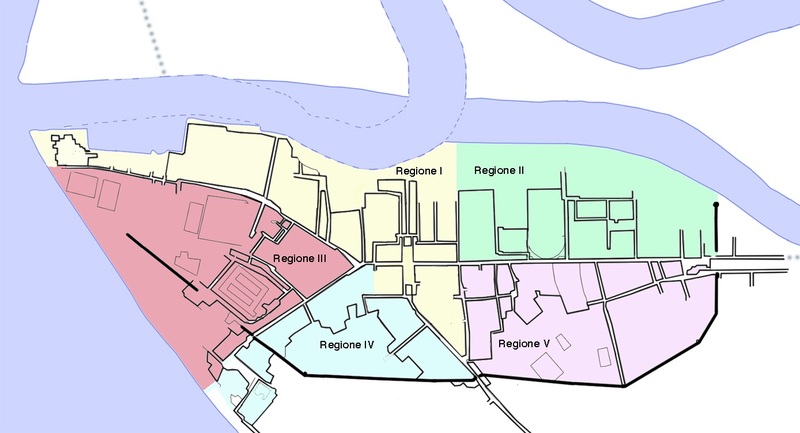 A team, led by Cambridge’s Professor Martin Millett and Professor Simon Keay (Southampton), has been conducting a survey of an area of land lying between Ostia and another Roman port called Portus – both about thirty miles from Rome. The work has been undertaken as part of the Southampton led ‘Portus Project’, in collaboration with the British School at Rome and the Soprintendenza Speciale per I Beni Archeologici di Roma. The roman port of Ostia Credit: DigitalGlobe Inc. Previously, scholars thought that the Tiber formed the northern edge of Ostia, but this new research, using geophysical survey techniques to examine the site, has shown that Ostia’s city wall also continued on the other side of the river. The researchers have shown this newly discovered area enclosed three huge, previously unknown warehouses – the largest of which was the size of a football pitch. Professor Keay added: “Three of these buildings were probably warehouses that are similar in layout to those that have been previously excavated at Ostia itself, however the newly discovered buildings seem to be much larger. In addition, there is a massive 142 metre by 110 metre fourth building – composed of rows of columns running from north to south, but whose function is unknown.